Spectators will still be able to watch hometown hero Flora Duffy take to the road during this weekend’s MS Amlin World Triathlon Bermuda, with the Commonwealth Games Gold Medal-winner forming an all-island dream team to race in the age group event on Saturday morning. Duffy will be joined in Team TriBermuda, #932 by upcoming Carifta Championships swimming star Taylor White, 15, and Bermuda’s own Red Bull Youth America’s Cup sailor Mustafa Ingham. 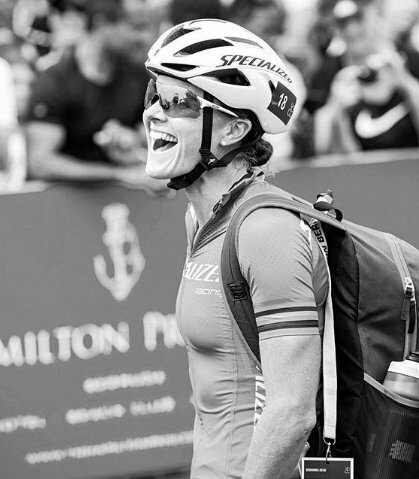 Although injury has stopped Duffy from running, prompting her withdrawal from the elite women’s race where she would have been defending her World Triathlon Series crown in Bermuda, the double world champion said she could not wait to take to the streets of Hamilton alongside 500 other athletes on Saturday morning – a time when she’s normally in her hotel room on race day. “I’m excited, I’ve not done a relay since the Commonwealth Games last year!” Duffy said. “I’m thankful to be getting to join in the racing in some way, and seeing the day from another perspective will no doubt be educational. For White, who this weekend won a Carifta Swimming Championship Silver Medal in the 800 meters Freestyle, the experience of racing in the same team as a sportswoman she calls an “inspiration”, is a “once in a lifetime opportunity”. "Watching Flora Duffy race is an experience in itself but to get the opportunity to compete on her team is a whole new level,” the Warwick Academy student said. “I feel so honored and excited to be a part of this. She is such a talented sportswoman and an inspiration to me as a young athlete. “This is a once in a lifetime opportunity that not many young people have experienced and I still cannot believe I will be swimming on Flora Duffy's team. I am extremely grateful for this and cannot thank the Bermuda Tourism Authority and Flora enough." White, who also represented the island at the Carifta Triathlon Championships in Trinidad last October coming 4th in the Aquathlon, will start the team off in the 750-metre swim. Duffy will then take over on the 20km bike, before Ingham brings the team home in the 5km run. For the 22-year-old Bermudian sailor, who has turned his America’s Cup adventure into a blossoming sailing career, running the final leg on Saturday is an “awesome opportunity”. The Bermuda trio are scheduled to start with other sprint distance relay teams at 8.15am this Saturday, racing with number 932. Catch a glimpse of Duffy as she flies up Corkscrew Hill on Saturday morning and cycles two laps of Hamilton. You'll see her on Pitts Bay Rd, Serpentine Rd, Pomander and Trimingham Rd. There are plenty of points along the route to cheer her and hundreds of other athletes. Duffy hopes to see the thousands of supporters who cheered her to victory last year, out on the streets once more. 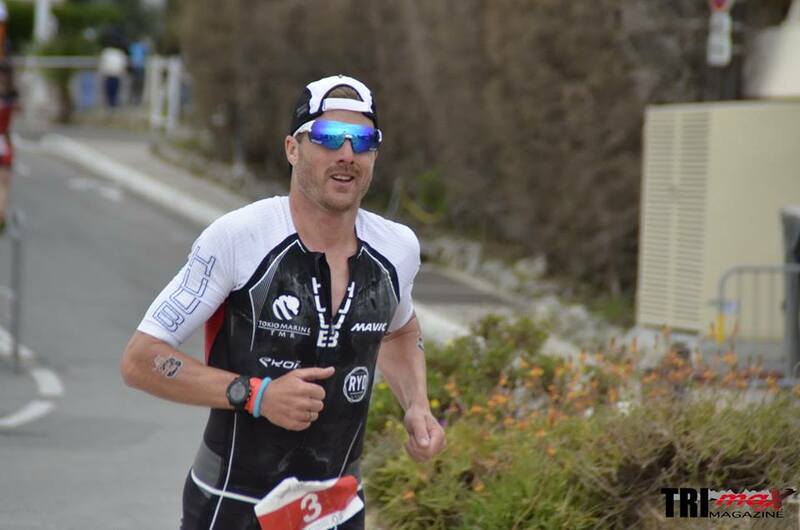 Tyler Butterfield took part in the sixth edition, the Cannes International Triathlon crossing the line 7th in the Men’s Professional Division. Competitors completed a course of a 2K Swim, 107K Bike and 16K Run. Butterfield came out of the water in a time of 23:23, he then completed the Bike Course in a time of 3:15:42, before closing out with a Run Time of 55:13. A Home Triathlon event took place at the Harrington Sound Dock with 40 competitors completing the course. Stopping the clock in a time of 57.26 saw Tommy Marshall take first place, Phil mace was second in 59.31 and Mark Robinson finished third with a time of 59.32. 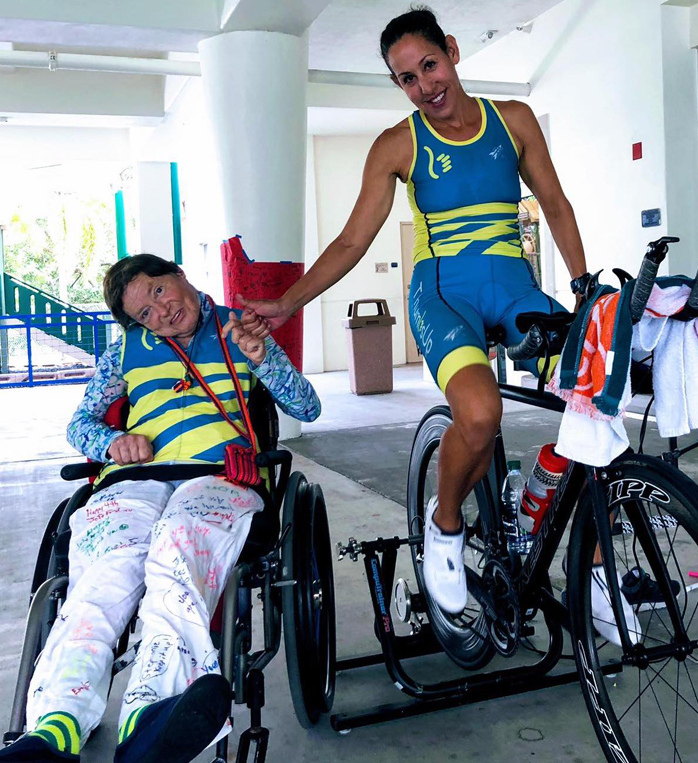 Massachusetts General Hospital (Boston, USA), the #1 Research Hospital in America and Harvard Medical School’s original and largest teaching hospital, has announced it will proudly sponsor two teams to compete in MS Amlin World Triathlon 2019 (WTS) on April 27 in Bermuda. 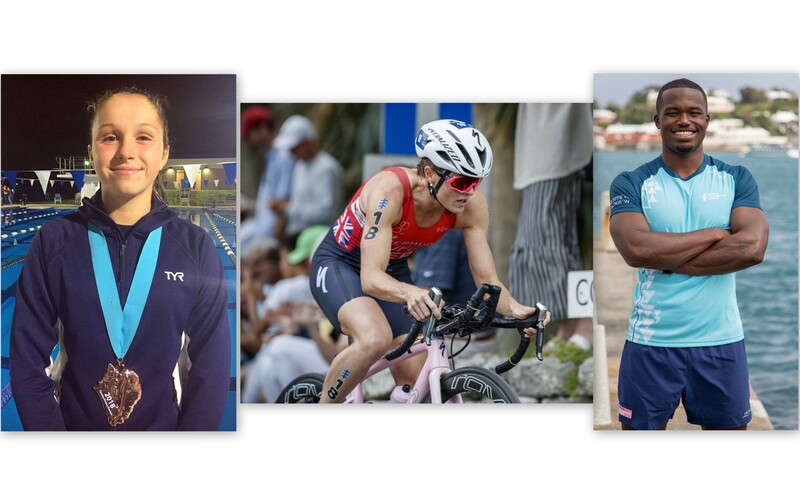 The World Triathlon 2019 on April 27th, 2019 is the second of three annual World Series Triathlon events that Bermuda will host; in 2021 the island will be home to the ITU Grand Final and Age Group World Championships. Flora Duffy will not defend her Bermuda World Triathlon Series title. Making the announcement on her social media page Duffy states, “I sound like a broken record but I will not be racing @worldtriathlonbermuda. After some decent running in Jan + Feb, my foot was just not right. I had an ultra sound & MRI which showed the tear in my post tib tendon was still there. So another PRP injection and in a moon boot. (This was 6 weeks ago). Of course I hoped I would be ok to line up in Bermuda, but that is not the case. I had to really back off training, unload and let the tendon heal. This photo was taken last year in Bermuda as I racked my bike on race day. I can remember being so happy, excited and (surprisingly) calm to be racing at home. Devastated not to be this year, but I’ll be back.